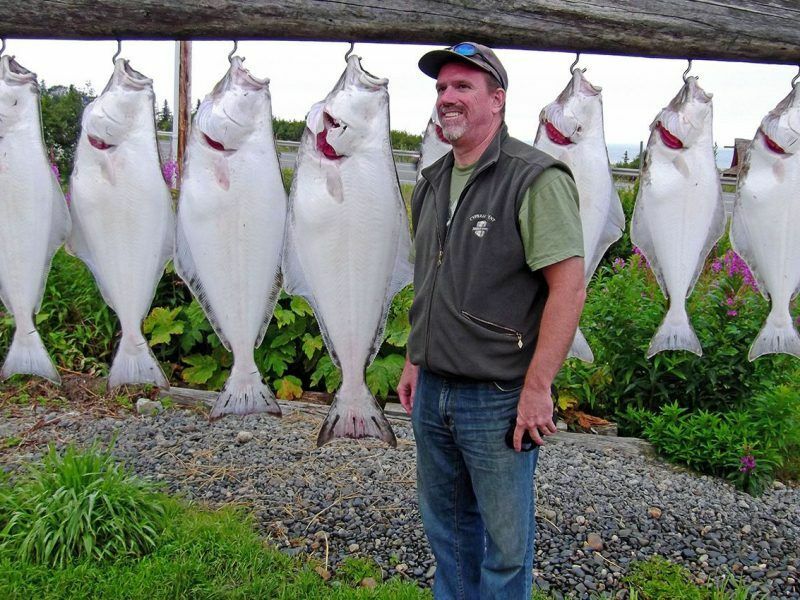 Quickly becoming one of our most popular fishing trips, fishing for halibut, Ling Cod and Rockfish makes for a memorable day. They’re fun to catch and even better to eat. 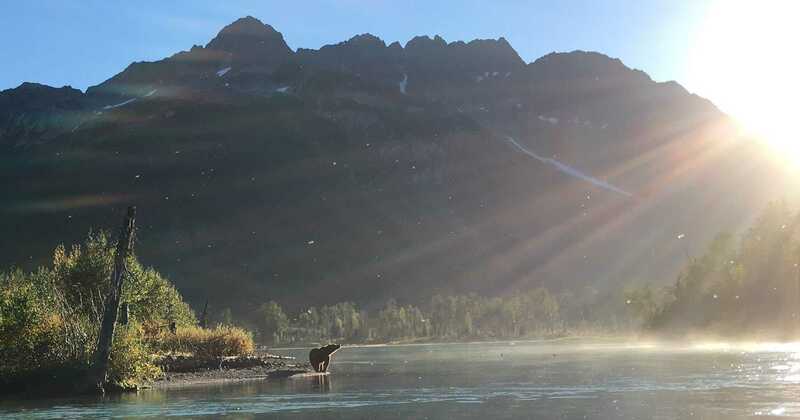 Cook Inlet provides the perfect backdrop to spend a day fishing on the open waters. 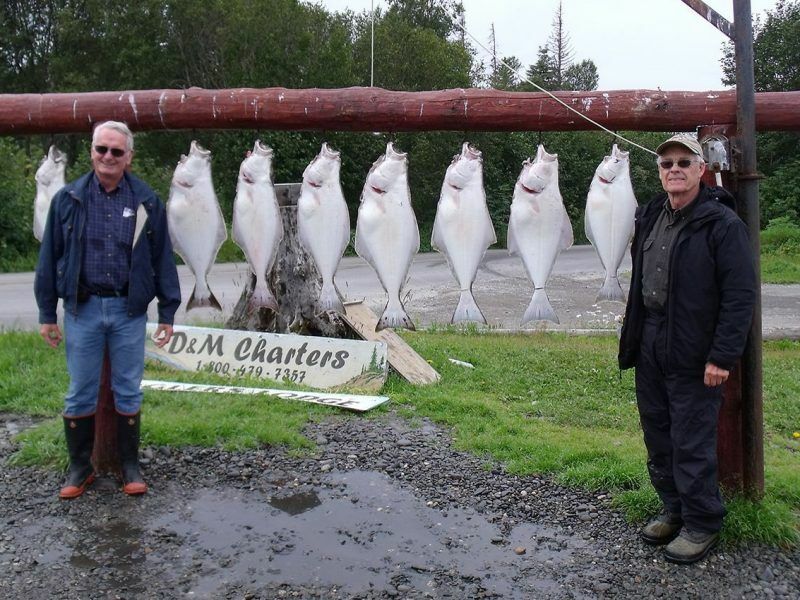 Our fishing tours depart from either Ninilchik, Homer, or Anchor Point. All three launch sites offer great fishing grounds, and an incredible view of the beautiful icy blue waters of the Cook Inlet. You’ll be surrounded by the Alaska Range on one side and the Kenai Mountains on the other. 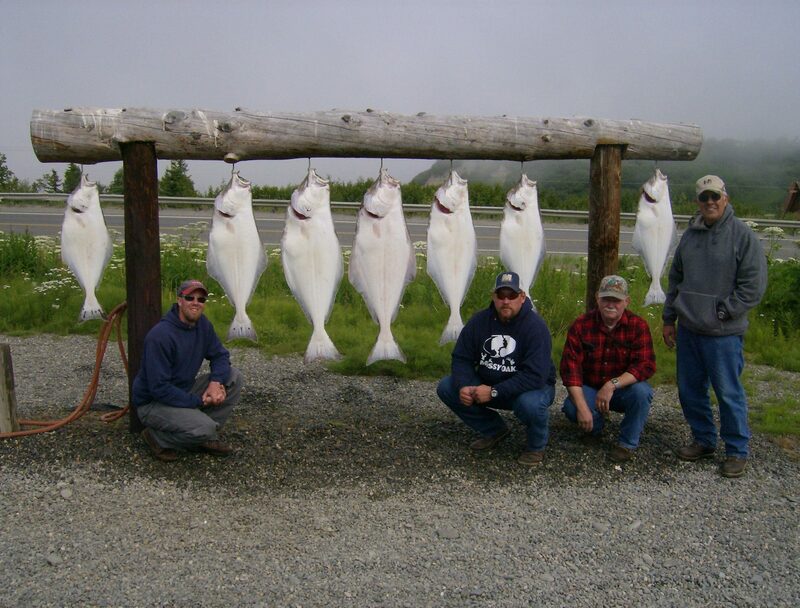 You’re allowed two Halibut, two Lingcod and up to five Rockfish in one day, and a long day it will be. The trip lasts between six to eight hours, depending on the tides and weather. No three hour tours here! Most likely you’ll be fishing the high tides, although occasionally those low tides offer some good angling. The season runs strong from May through September. 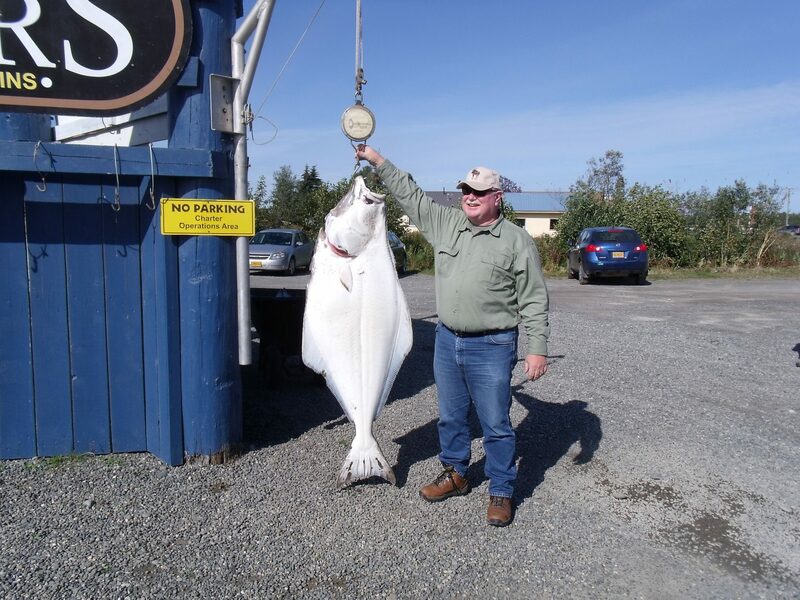 Our halibut boats are coast guard regulated which allow up to 6 passengers. You’ll always fish with a trusty worthy captain and crew, and our boats provide a comfortable warm cabin equipped with a head to keep you from freezing while you’re on the water. You’ll spend most of your time fishing from the large back deck, and this is where all the action takes place. We recommend rubber boots and rain gear because chances are, you’re going to get wet! 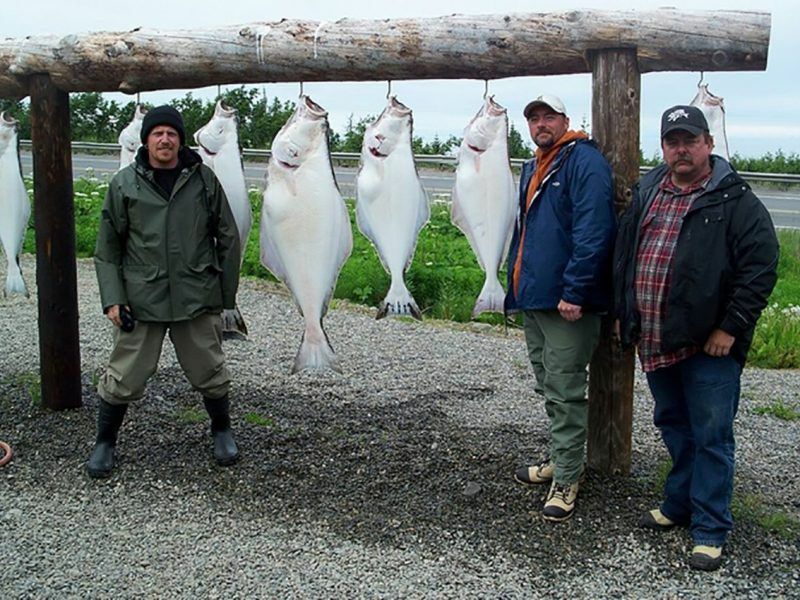 Cook Inlet Halibut average from 20 to 50 lbs. 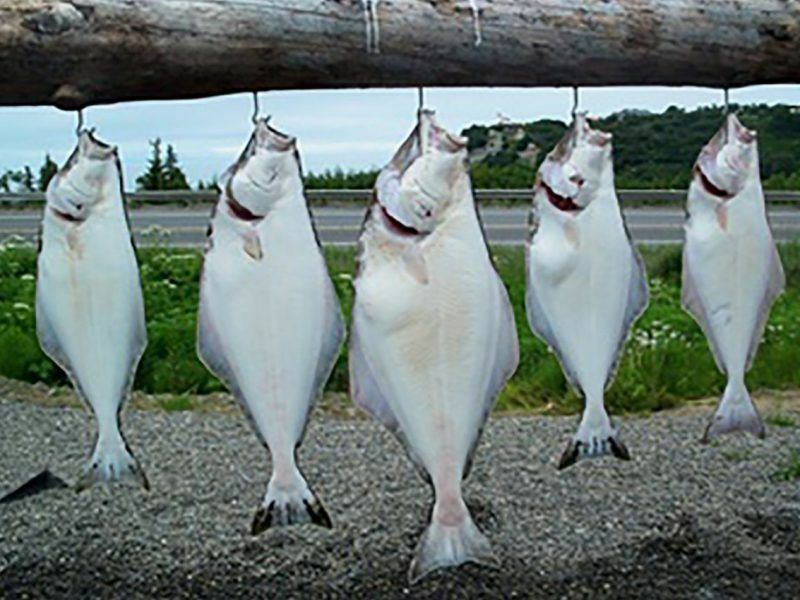 ; however, the fishery is a strong one, which will produce those 100+ lbs. monsters you always hear about.